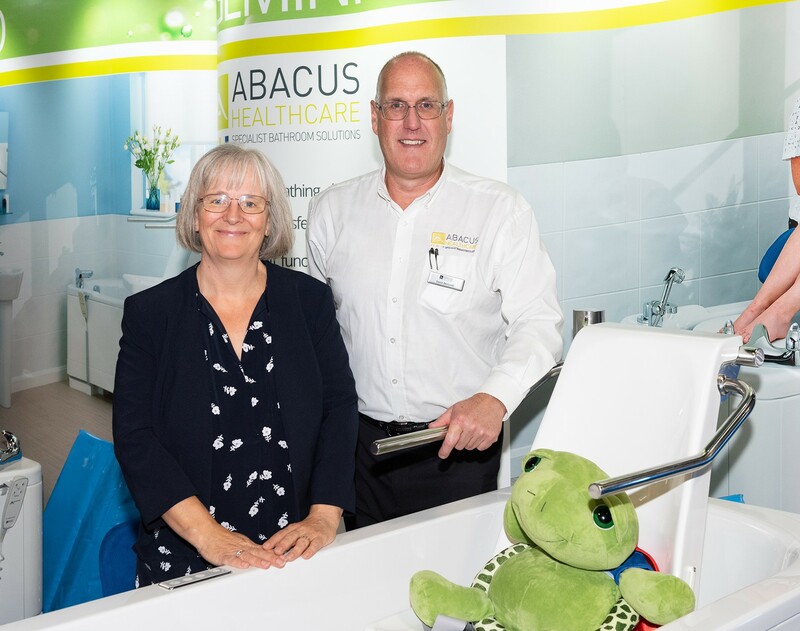 Abacus Specialist Bathroom Solutions has reiterated the popularity of its complete assisted bathing service with exceptionally high visitor footfall at Kidz to Adultz North (8th November, EventCity, Manchester). Abacus is a trusted manufacturer of power-assisted baths that deliver accessible bathing to disabled bathers. Its proven and popular range provides assured solutions for domestic bathroom and rehabilitation facilities – supplied through a holistic support programme and close co-operation with Occupational Therapists. Focused on achieving positive outcomes for all, Abacus baths maximise comfort and safety for vulnerable bathers and safe working heights for carers. Through the inclusion of variable height technology and powered bather transfer seats, moving and handing risks are reduced and the overall bathing experience is more positive. At Kidz to Adultz North, Abacus demonstrated the strength and depth of its offering to disabled bathers, families and healthcare professionals. This unique proposition, combining quality baths, complete support and OT-endorsed clinical content, produced significant enquiries throughout the event – highlighting Abacus’ mission to be the ‘go to’ specialist for assisted baths. Abacus works closely with Kate Sheehan, a respected OT with over 30 years of experience. This relationship enhances the activities of the Abacus assessment team and also provides the educational lead for its programme of CPD assisted bathing seminars. These free training courses for healthcare professionals provide vital insight that benefits vulnerable clients in terms of bath funding and appropriate product provision. At Kidz North, Kate delivered a well-attended seminar entitled ‘Bathing – the right to play’ which explored ‘bathtime play’ as an occupation and considered how legislation and clinical reasoning can be used to support the necessity of a bath for better client well-being. Following her presentation, Kate joined the Abacus team on stand C21 to assist families and therapists with one-to-one advice regarding safe inclusive bathing. Demonstrations of the dual lift Gemini bath, with integrated bathing, changing and drying platform, were provided so visitors could clearly understand how this proven solution eliminates many awkward wet transfers. It facilities eye-level contact between carers and bathers and ensures personal hygiene can be completed efficiently and effectively. The level of personalised comfort for bathers was further highlighted by examples from the respected range of Abacus postural support accessories. The comprehensive showcase at Kidz was completed by the diverse range of free educational content and advisory information available along with the free prize draw to win Trevor the Turtle, the Abacus mascot.